So I’m not a baker. But THIS girl had to figure out how to make her favorite dessert. I’m on my third attempt and second Mission Completed and yum. Whish the eggs and sugar together. Set aside. Heat a 1 quart pot to high heat. Once hot, pour the cream in and scald. Let cook until ALMOST just boiling. You want it hot to the touch but not boiling. Add in the liquor and vanilla. Then temper the egg mixture a little at a time. Your oven is set to 300 degrees. 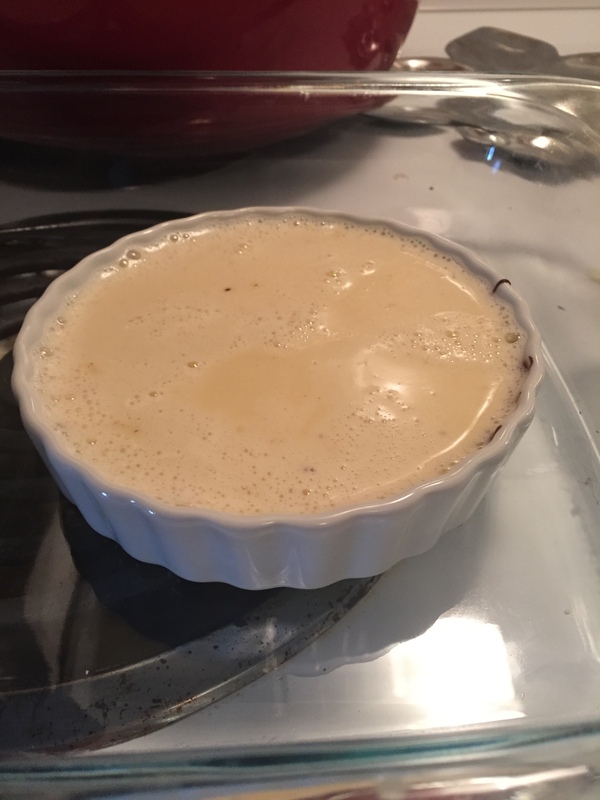 Pour your creme brulee mixture into ramekins and place in baking dishes. Pour cold water until half way up the sides of the ramekins. Cook 30-45 minutes until set. I like to jiggle the ramekins and that’s how I know. Take out of the oven and let set aside for about 10 minutes and then place in the refrigerator. 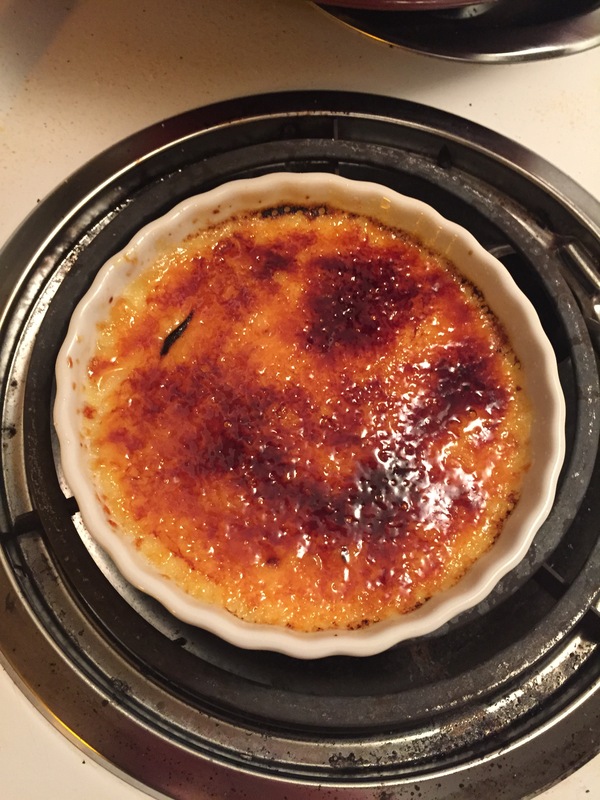 When you are ready, sprinkly some sugar evenly over the top of the brulee and torch with a browning torch until lightly brown.